The Pyrenees are a lovely part of Victoria with its rolling hills, and well worth a visit. 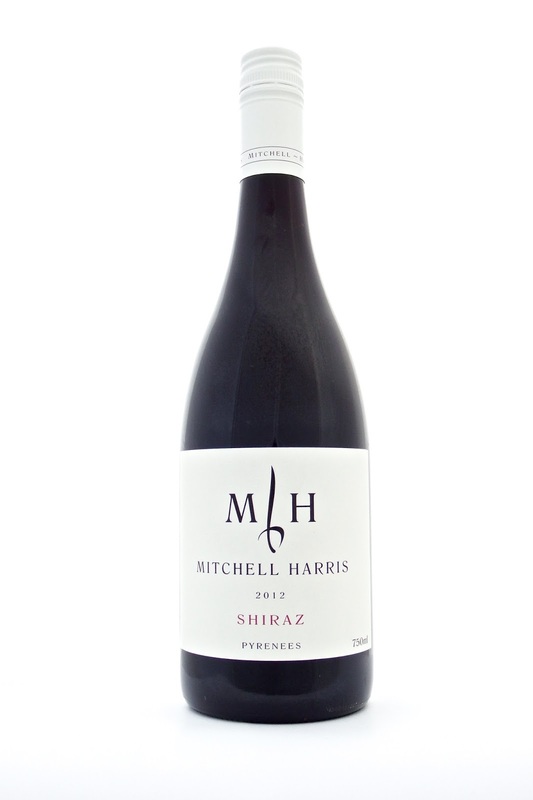 This is a really good shiraz from Mitchell Harris Wines. The grapes are handpicked and the winemaking feels right up-to-date. It sees 2% viognier co-fermented (although you wouldn’t know it), 25% whole bunches (used very judiciously), wild yeast fermentation, only 15% new French oak, is unfined and coarsely filtered. In the glass, the 2013 Pyrenees shiraz (nb. the bottle shot is from the ’12 vintage) has aromatics of pepper, spice, fruitcake and cedar. The palate has long length, a medium bodied impression and fine grained tannins that build structure and weight with time in the glass. This is an excellent example of Pyrenees shiraz and recommended.